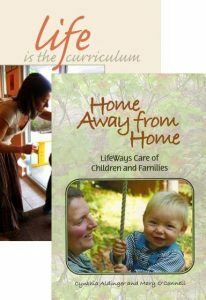 LifeWays takes its inspiration from Rudolf Steiner, founder of Waldorf Education, and develops home as the model and life as the curriculum for young children from birth to six. Check out our books, videos and audio recordings to deepen your home life or inspire your work with young children. Many of our items are also available as downloads. Videos/DVDs and Audio Recordings/CDs show LifeWays in action. Books about LifeWays, child development and parenting. Online Courses provide a multi-media approach for learning more.